After leaving OVO Sound, Makonnen is getting back with the Awful Records crew. Last month, iLoveMakonnen announced in an official statement that he had officially cut ties with Drake's label, OVO Sound, although there was "no beef" to report between the two rappers. Ever since, it seems that Makonnen has been collaborating with fellow Atlanta rapper Father and the members on his label, Awful Records. Yesterday, Father posted a new iLoveMakonnen track to his SoundCloud, "Jag," featuring and co-written by Awful Records artists LuiDiamonds and Lord Narf, and produced by Philly artist Tunji Ige. 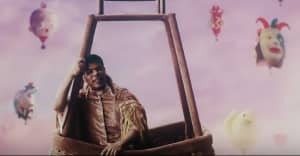 The playful track has a early 2010s vibe and Makonnen follows suit, employing a flow similar to that of OJ da Juiceman's. Listen below. Revisit FADER's feature on Awful Records here.